Here's a little peek at a post that is in the works. 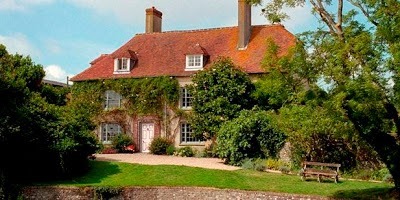 It's been almost 100 years since artists Vanessa Bell and Duncan Grant decamped to the English countryside and created their idyllic farmhouse, Charleston. 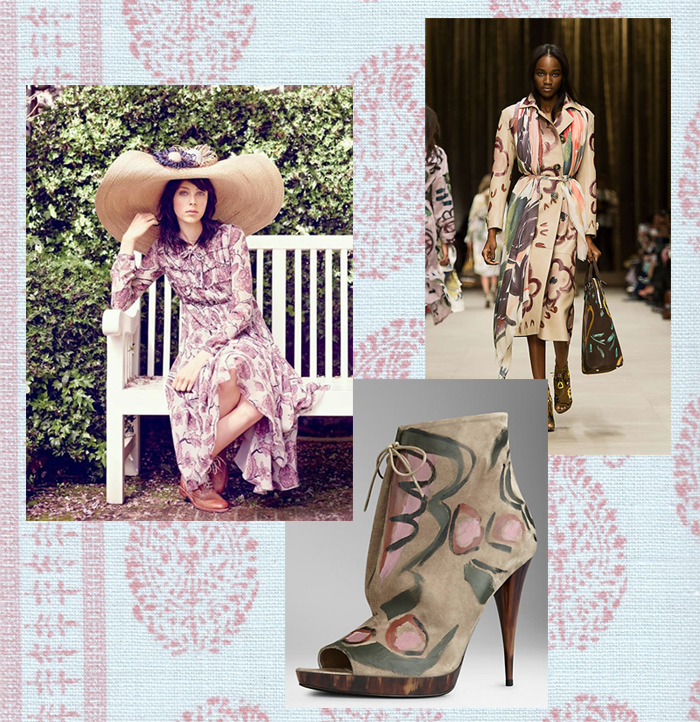 With the house's centenary approaching, Bloomsbury-inspired pieces have been popping up, most notably at Burberry. 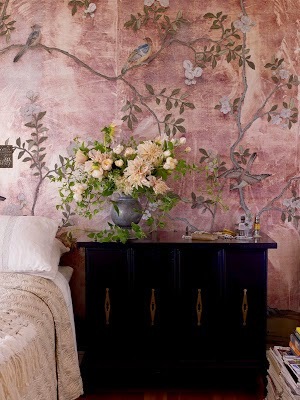 But before Burberry's fall 2014 collection was seen on the runway, interior designer Schuyler Samperton was channeling the BG painters in her own dining room. Stay tuned for more. Related past post: Roger Woods and Bloomsbury. 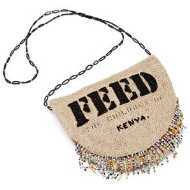 I knew that the 30-piece collection of handcrafted wares curated by film maker and former stylist, Jamie Rosenthal, for Anthropologie is currently only available at the retailer's locations in Austin, Miami, New York, Portland and San Francisco, or online, but not in Georgia. 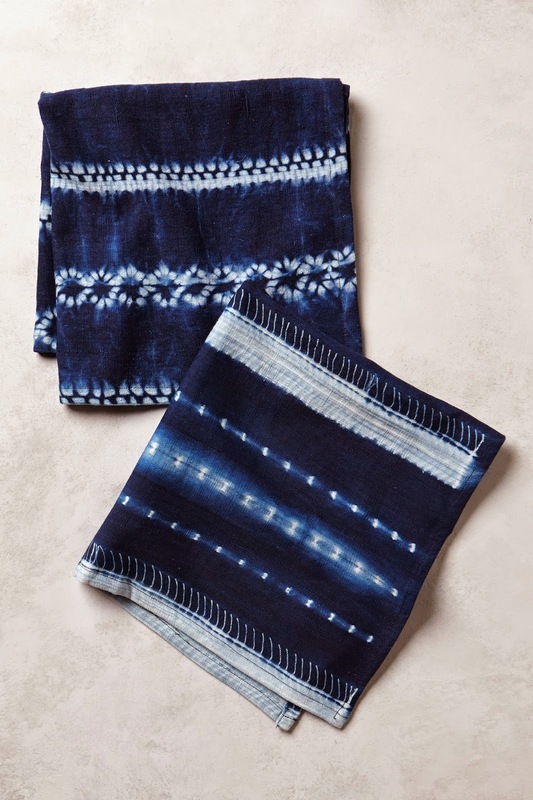 Still, while browsing an Atlanta shop today, I secretly hoped a shipment had been misdirected so that I might stumble across these African-made tie-dyed indigo napkins by Tensira. The napkins are actually just one example of the indigo goods Rosenthal gathered together for Anthro, and you can shop the collaboration at her store, Lost & Found, too. 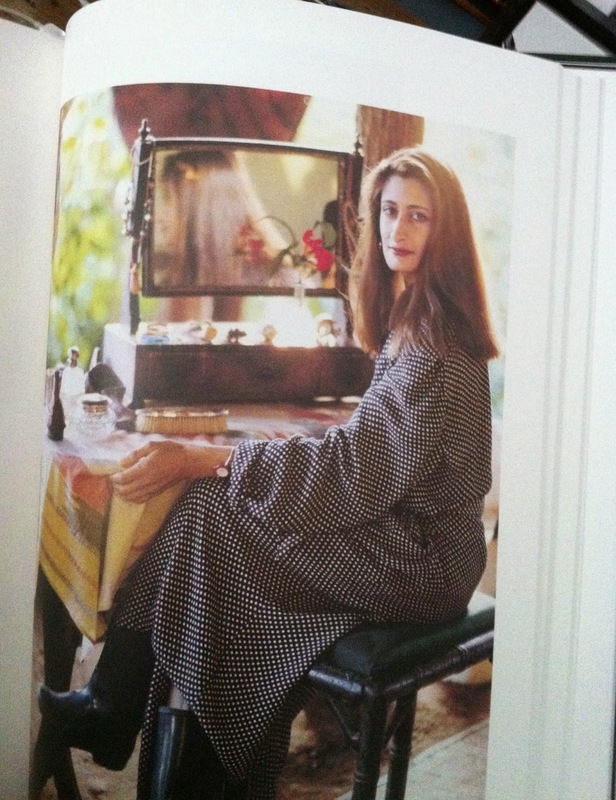 As her collection grew, designers (of fashion, interiors and fabric) drew upon it for inspiration. But today, thanks to Aranow's son, Caleb Sayan, the collection is far more accessible. Working with film maker Andy Chandler and scholar Annin Barrett, this month he launched the free Textile Hive Base, complete with video primers on the centuries-old techniques used to create her coveted fabrics. Later we'll explore the site; In the meantime, see more indigo here. 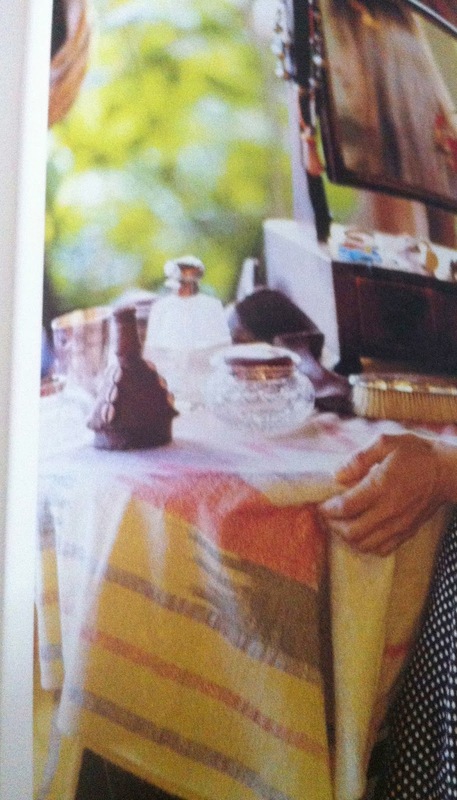 Merchant-Ivory's Surviving Picasso seems to elicit a range of reactions from various folks. But maybe everyone can agree that the scenes for which the production design team recreated Henri Matisse's digs are among the most visually arresting. I'm talking about the artist's rooms at the Hotel Regina in the South of France. Along with Matisse's massive cut-outs, his textile collection is referenced with suzanis and what appear to be other Central Asian, Egyptian and possibly Mughal cloths hanging about. 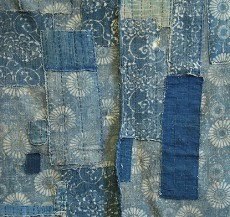 The real life textile collection is mentioned in a piece I wrote for this weekend's Off Duty. It delves into Matisse's passion for fabric and how contemporary designers are in turn inspired by the artist's work. While researching the story, I spent some time pouring over the old black-and-white photos of Matisse's actual rooms (regular readers have already seen these in some of my past blog posts and, well, pretty much across the internet). Here's a change of pace -- a color-infused look at the way two set decorators channeled the modern master. Friendly reminder: Henri Matisse: The Cut-Outs leaves Tate Modern in early September. Next stop: MoMA. More on that in the WSJ piece. 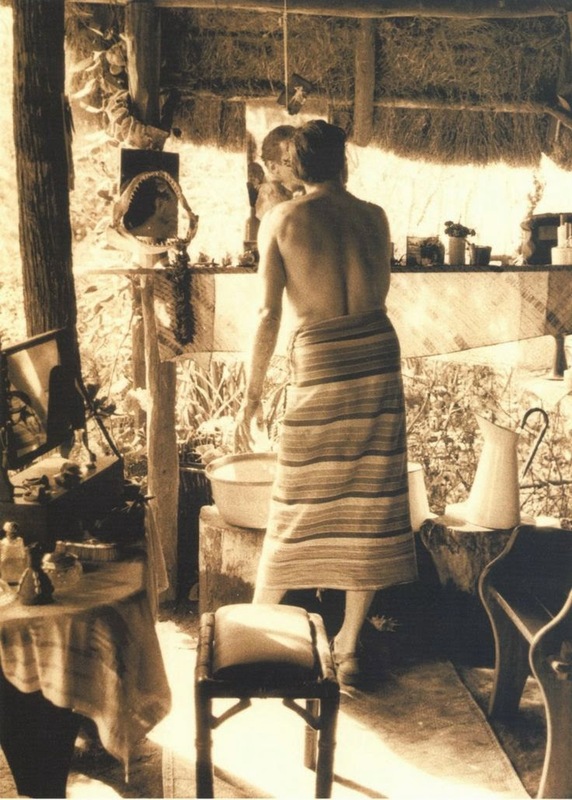 This photo of Peter Beard, in one of his tents at Hog Ranch near Nairobi, is a familiar sight thanks to Taschen's series of books (and the internet). Maybe each time you've seen it, your eyes have understandably zeroed in on Beard wrapped in stripes. But take a look at the other stripes in the picture, lower left. The cloth is covering Nejma Beard's dressing table circa 1990. Glamping before everyone was using the word. 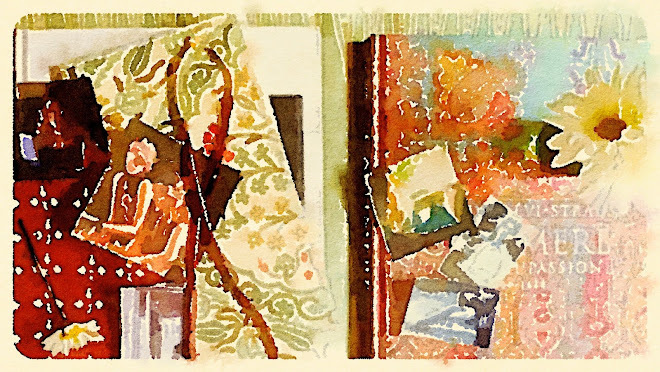 I love the idea of a woven African textile as a backdrop for European-style bottles and brushes, so I pulled some different examples. 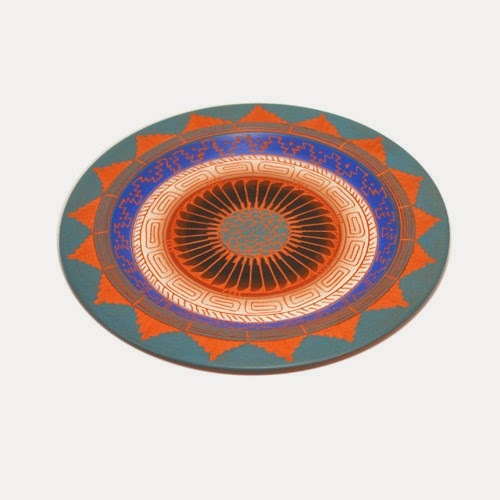 Below are museum pieces, just for inspiration, but if you're looking to buy, check out the vast range of vintage and antique pieces at Adire. 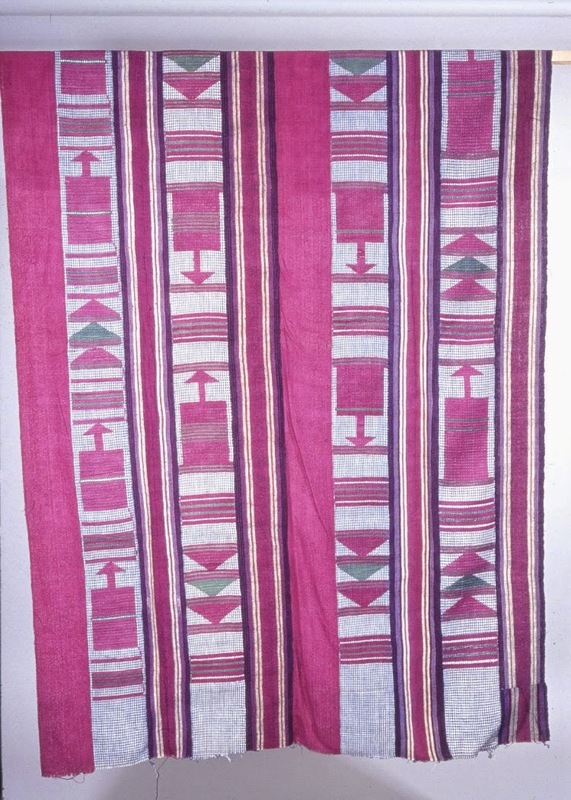 20th-century cotton and silk from Nigeria (Yoruba peoples). Collection of The Met. 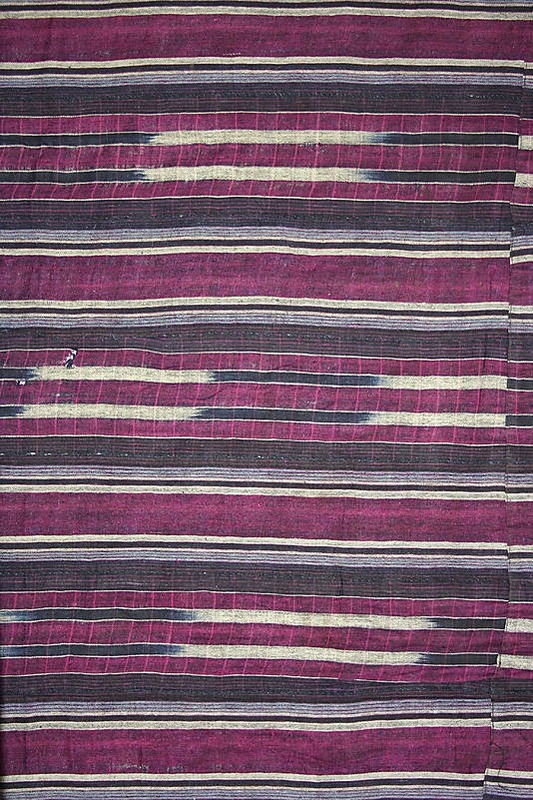 Strip-woven Yoruba cloth from the British Museum. 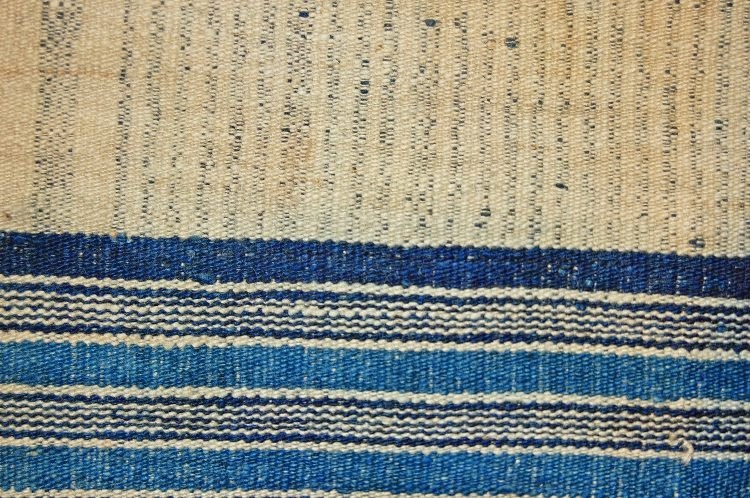 19th-century woven stripes likely created in Nigeria. Via British Museum. 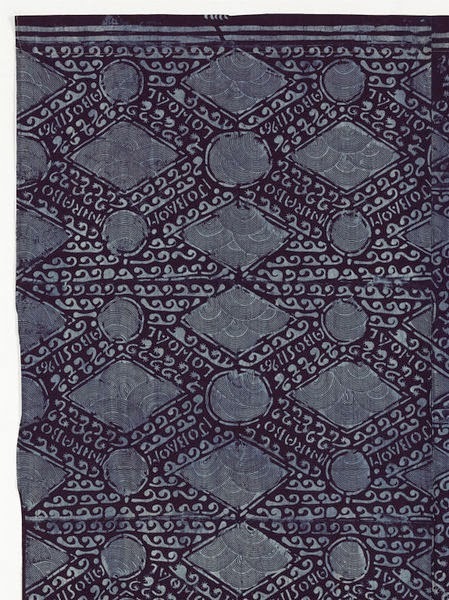 1960s indigo resist-dyed cloth by the Yoruba people of south-western Nigeria. V & A collection. 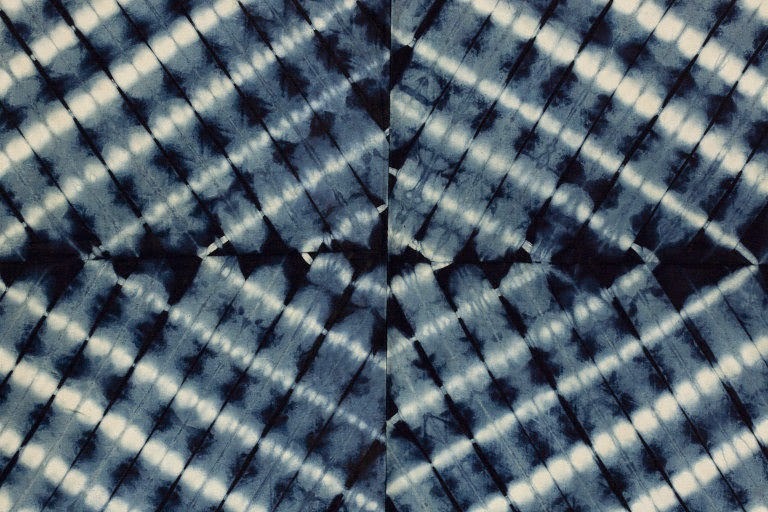 More 1960s indigo, tie-dyed cotton also by Yoruba peoples. 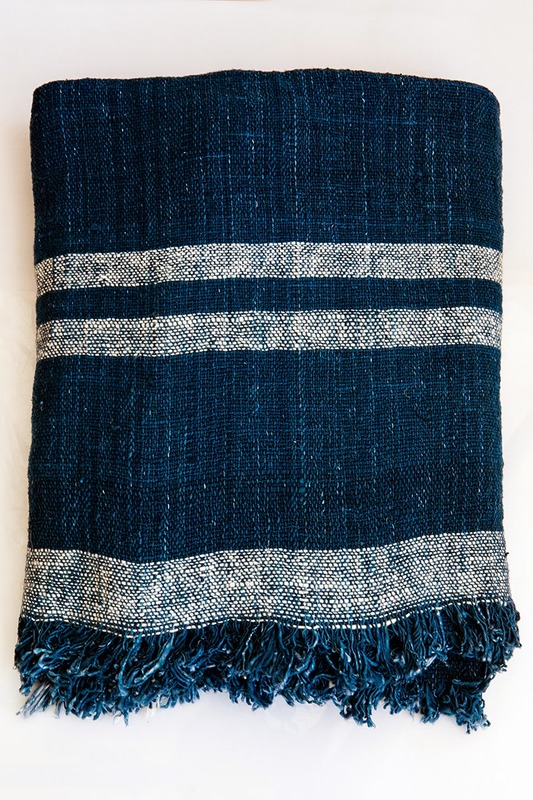 Via the V & A.
Plain-weave 1930s or 40s striped cloth, possibly from Mali. Via British Museum. 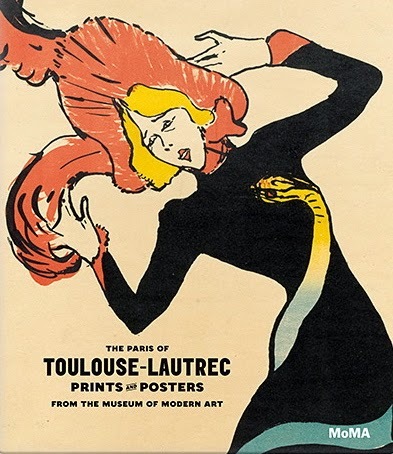 I can't remember if it occurred during the late 90s or the early 2000s but at some point the High mounted a large exhibition of Toulouse-Lautrec's work and, apart from his prints, obviously, one element of the show that really stopped me in my tracks was the curators' use of color. Acid green plus tart yellow and orange paint coated the walls making the Belle Époque lithographs appear even more graphic. 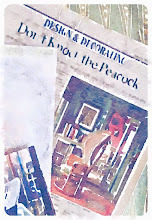 So I was intrigued when I learned that Farrow & Ball recently donated to MoMA 17 gallons of their red Blazer paint, along with quieter Dorset Cream and New White, and 72 rolls of the company's Dragged Paper, all to be used for the soon-to-open Paris of Toulouse-Lautrec: Prints and Posters. This show will include more than 100 pieces that relate to late-19th-century Parisian culture, covering nightlife and the Moulin Rouge, performers, women, visual artists, and food, just to give a sampling. 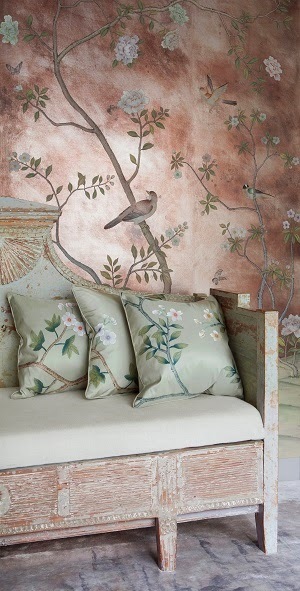 In other wall-related news, I confirmed with de Gournay that it was Erica Tanov's bedroom panels -- those oft-blogged and published-in-print, serendipitously oxidized chinoiserie papers -- that created demand for their latest finish: Rose Antique. On view this summer at the Georgia Museum of Art in Athens are two very different shows that explore similar themes: Young art students shaking up their communities. The first traveling exhibition, Women, Art and Social Change: The Newcomb Pottery Enterprise, is one we've already touched on. With approximately 180 pieces (textiles and metalwork plus the better known ceramics), this show looks at works by the women of Newcomb Pottery, essentially a collective/business experiment begun by Sophie Newcomb College in New Orleans in the wake of the Civil War. As I mentioned last year, the exhibition aims to spotlight more of the individual Newcomb artists who've previously remained anonymous. 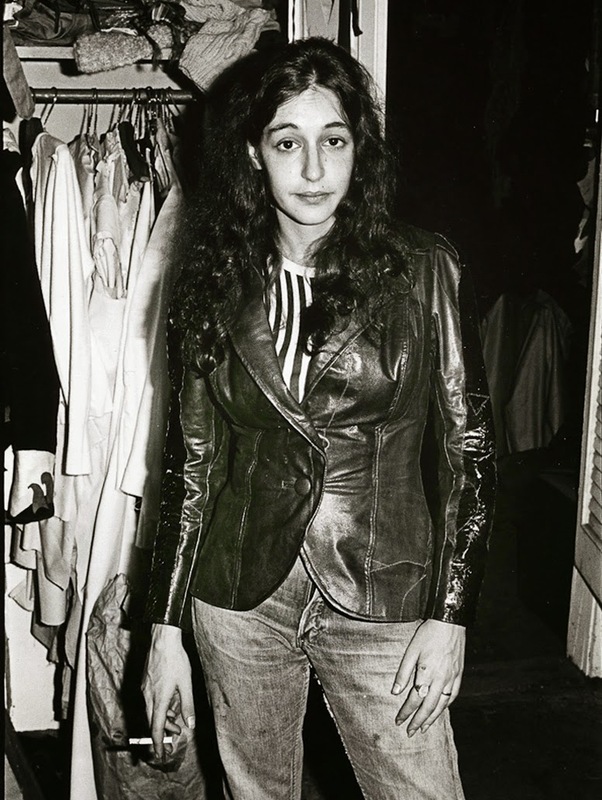 Likewise, Shapes That Talk to Me: The Athens Scene, 1975–85 delves into the ways in which fledgling artists shaped Athens' burgeoning music community during the golden era. While today the bands of the period are household names, many of the visual artists are not. 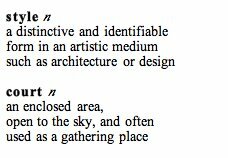 So the exhibition seeks to give the latter their due. 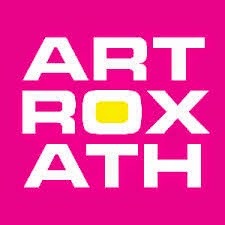 The show is actually part of a larger happening, Art Rocks Athens 2014. Yesterday, the August issue of British Vogue arrived with a nod to Michael Kors's fall 2014 Navajo-related looks. 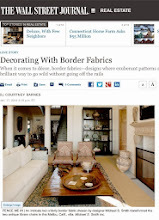 I'm excited to see a range of South Western-inspired styles shown for autumn but, as my recent blog posts indicate, I think the classic Native American blanket stripes, wedge patterns and sunset hues are great in summer too. So, I pulled together an inspiration board. 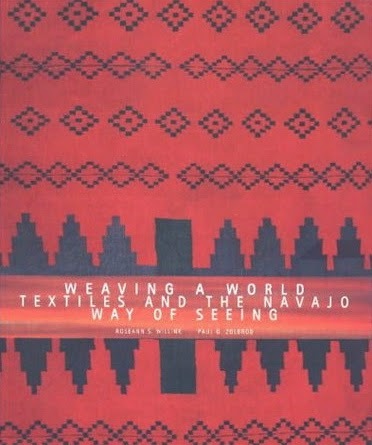 At the moment, the de Young's shop is well-stocked with books on authentic Navajo textiles (in addition to the previously discussed exhibition catalogue). And in Santa Fe, of course, Shiprock offers related vintage books, plus a wonderland of antique and vintage textiles and accessories. The exhibition on view at Shiprock's gallery now through August highlights Pueblo textiles. 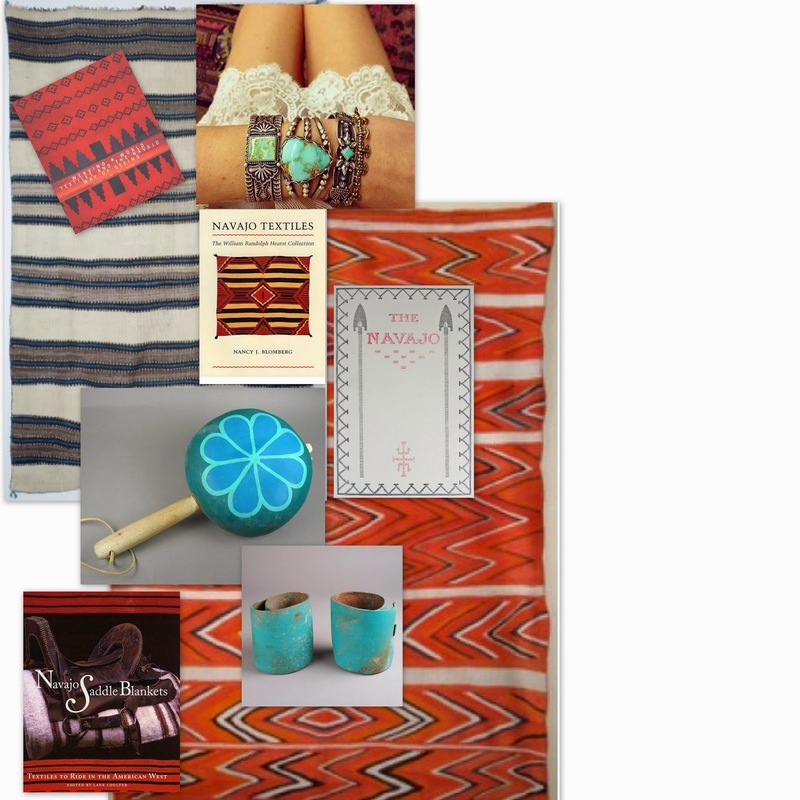 Image of turquoise jewelry via Shiprock's Pinterest page; 19th-century Navajo Wedge Weave blanket, vintage book and Pueblo armbands all available through Shiprock's shop. 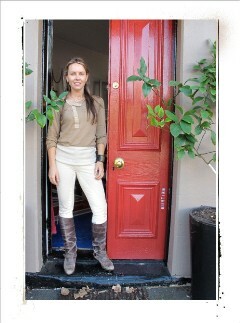 Saddle blanket book sold through the de Young's shop. 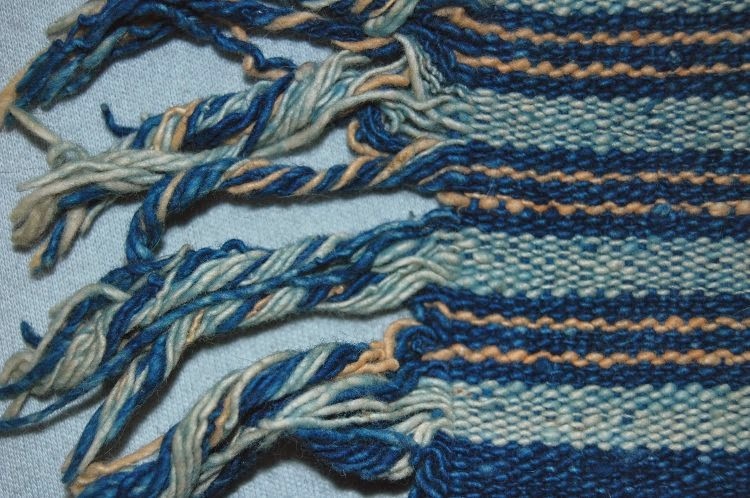 19th-century Pueblo shoulder blanket is also at Shiprock. More books about The William Randolph Hearst Collection and other Navajo weavings, again at the de Young. 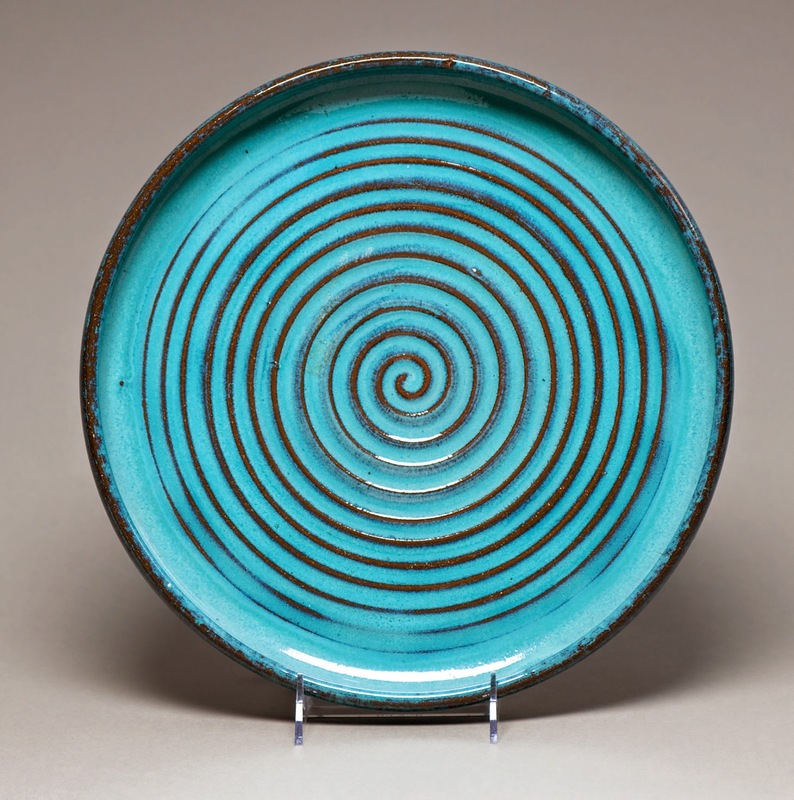 Lastly, the midcentury rattle is another Pueblo piece at the Santa Fe gallery. 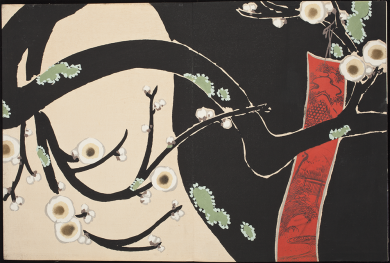 Bold, abstracted patterns, shocking color combinations, and graceful lines: A new show opening at LACMA this Saturday explores changes in Japanese textile design during the 20th century. The jumping off point is a specific type of printed design book, Zuan. 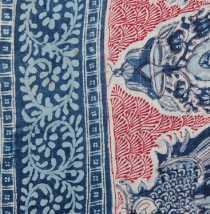 With over 50 to share, the museum wants to convey the impact of these books on textile designers, specifically those designing kimono fabrics, but the exhibition will also look at other sorts of surface pattern created for lacquerware, cloisonné and ceramics. Zuan: Japanese Design Books runs July 5 - October 12, 2014 and compliments the concurrent Kimono for a Modern Age.